Southfield – May 24, 2012. 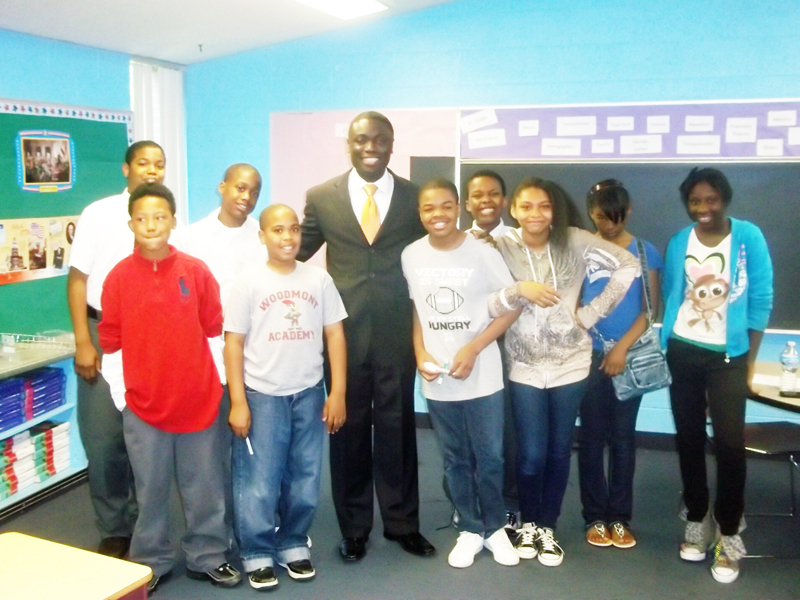 On behalf of Agents of Hope, its founder, Mr. Shola Salako, recently visited the Woodmont Academy in Southfield, Michigan. Sharing his experience in the global Information Technology arena, Mr. Salako strongly encouraged the students of Woodmont Academy to give serious attention to technology because most industries rely on heavily technology in this information age. Topics such as the level of schooling required, subject areas of strength needed to be successful, character traits that support Information Technology success, potential salary, a typical workday, etc were discussed at great lengths. There was a very interesting questions and answers session and one student in particular, Ryan, asked about using one’s mind to create software solutions. What a day! Special thanks to Jennifer Helchowski, Director of Family and Student Support (Counselor), and Mr. Akindele Akinyemi, Dean of Students, for coordinating and planning this glorious event.